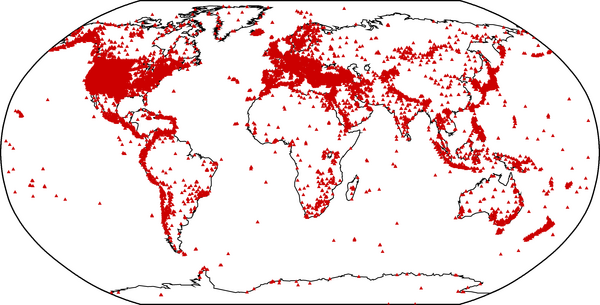 The International Seismograph Station Registry (IR) has been jointly maintained by the ISC and the World Data Center for Seismology (NEIC/USGS) since the 1960s. The ISC and NEIC are currently making plans for a major update of the IR to include the new IASPEI station coding standard (Agency.Deployment.Station.Location.Channel). This work is being done with input from the EMSC and FDSN. The station book may be searched by station codes, or by defining a search region. A complete list of stations is also available (~2 Mb is size). To view stations in google earth, the station list is available as a KMZ file. New stations should be registered on the registration page.